Handmade square wedding invitation made of luxury off-white cardstock. 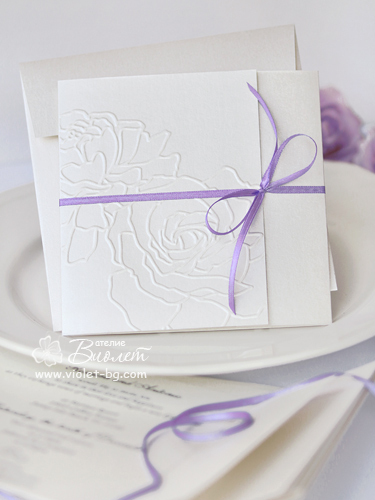 It is tied with a thin satin bow in lilac colour and is decorated with two beautiful embossed roses on the front cover. The text is printed inside on a single sheet of pearlescent paper.